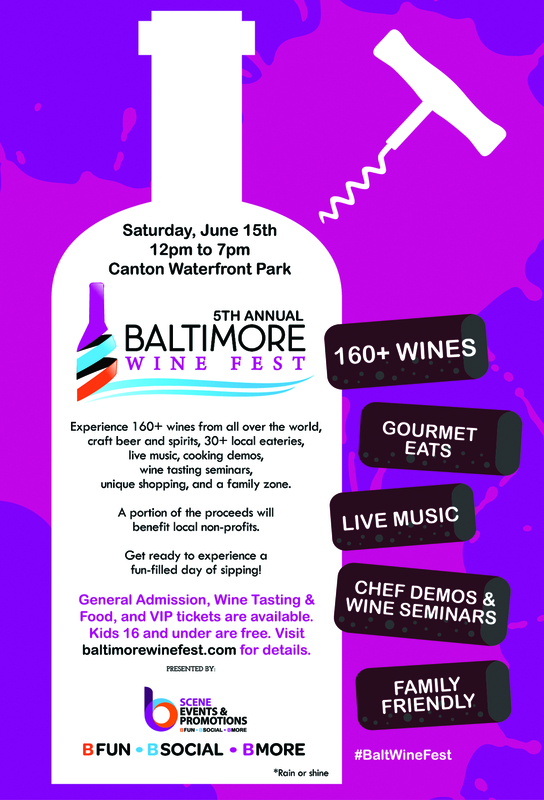 EXPERIENCE 160+ WINES FROM AROUND THE WORLD, GOURMET EATS PROVIDED BY LOCAL EATERIES, LIVE MUSIC, CHEF COOKING DEMONSTRATIONS, WINE SEMINARS, CRAFT BEER & SPIRITS, UNIQUE SHOPPING AND A FAMILY ZONE AT THE 4th Annual BALTIMORE WINE FEST TAKING PLACE SATURDAY, JUNE 15, 2019 FROM 12PM TO 7PM. PURCHASE TICKETS NOW! Did you miss last year's baltimore wine fest? Check out our HIGHLIGHT VIDEO.